No. 4 uncorks the feeling of sunny days spent soaking up the tropics with the scents of ripe fruit, delicate florals and lush rainforest dancing on the breeze. 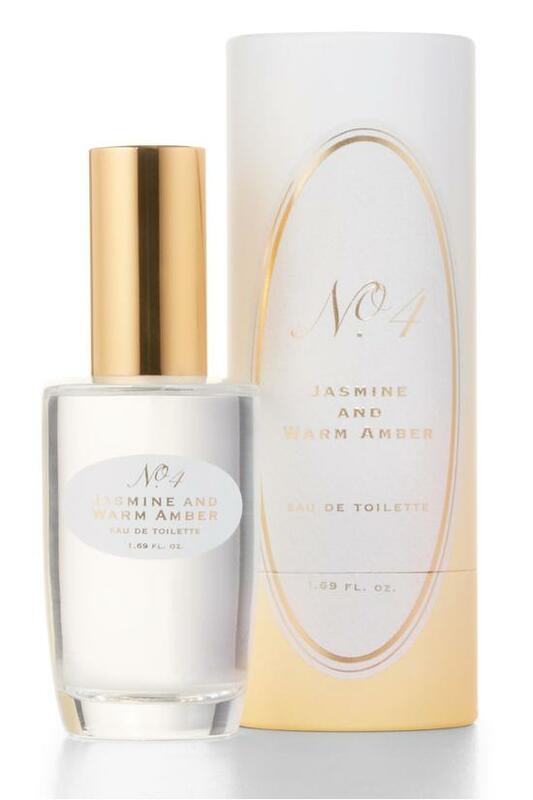 A brilliant bouquet greets you at first blush - of pink jasmine petals and fluttering honeysuckle - colored with the crispness of angelica seeds and ripe Jamaican nasberry. No. 4 finishes with a lingering hint of mellow amber warmed in the tropical air. 1.69 fl. oz. Our Numbers series is a collection of effortless, indigenous scents sourced from the four corners of the world. No. 4 hails from the tropics where exotic flora grows abundant in the brilliant sun and nurturing rainforest. Every spritz has the power to calmly carry you off to the Caribbean and beyond. Apply to pressure points, or where desired. For external use only.